Real Starbucks® Coffee in your Workplace. Now you can get a Machine for FREE (Ts & Cs). Just drop us a line HERE. The Keurig® K150 brews a perfect cup of coffee, tea or hot cocoa in under one minute at the touch of a button. This fully programmable brewer has an interactive touchscreen that allows you to program the brew temperature, Auto On/Off and set your language preference to English, Spanish or French. It has a choice of five cup sizes, offers a removable drip tray to accommodate travel mugs and a drain able internal hot water tank for transport or storage. 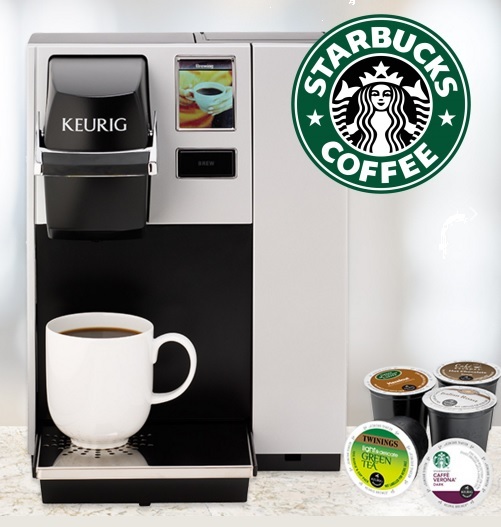 For More information about Keurig®K150, please watch our video below.